Plus, it undergoes a unique instantization process so you don't have to hassle with lumps. Xtreme Power Whey Complex™ uses an exclusive filtration process to isolate the protein. This ensures that all of the vital whey fractions remain intact in the finished product and is formulated using an advanced flavouring technology to make an excellent taste! Unlike our competitors' products, Xtreme Power Whey Complex™ is formulated without the use of any controversial sweetners (aspartame). 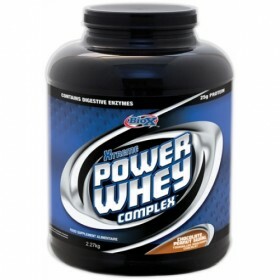 At a lactose level of under 4.5%, Xtreme Power Whey Complex™ is easily tolerated by most individuals. 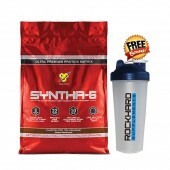 Isn't Whey Just For Bodybuilders? Lactose is a milk sugar that causes bloating and stomach discomfort in some individuals. Xtreme Power Whey is exceptionally low in lactose. There is less than 4.5% lactose in the complex. To put this in perspective, a single serving of the complex has less than 1.6 grams of lactose. In comparison a 12oz glass of 2% milk has 21 grams of lactose. As a general rule your daily intake of protein should be at least one gram for every kilogram of bodyweight. However, many studies have surmised that active individuals, strength athletes, and very active individuals benefit from additional protein.